Did you know smudging actually kills bacteria while clearing any space energetically? 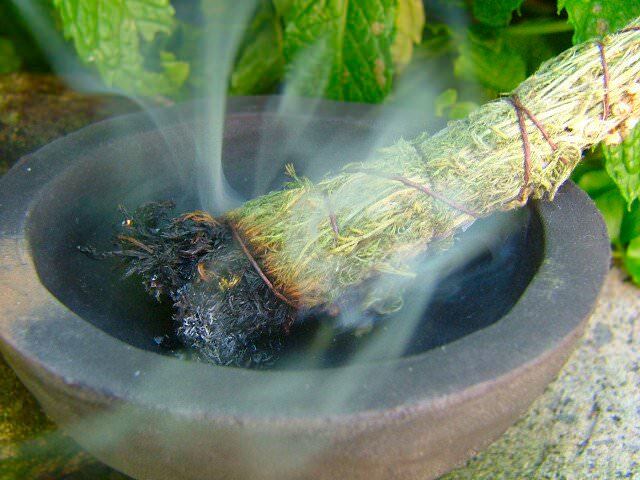 Smudging- or the ceremonial and ritual burning of medicinal and fragrant herbs and resins of specific plants for spiritual cleansing, is an ancient practice that has been honored and carried out the world over in cultures spanning the centuries. It is also one that is finding a great surge of added popularity in many non-indigenous cultures and circles in the modern world. The basic concept is that by burning particular plants parts and resins, the energetic blueprint or spirit/intelligence of that plant is released, producing a medicinal smoke. The smoke is then utilized to cleanse the energy of individuals, groups, spaces or object. 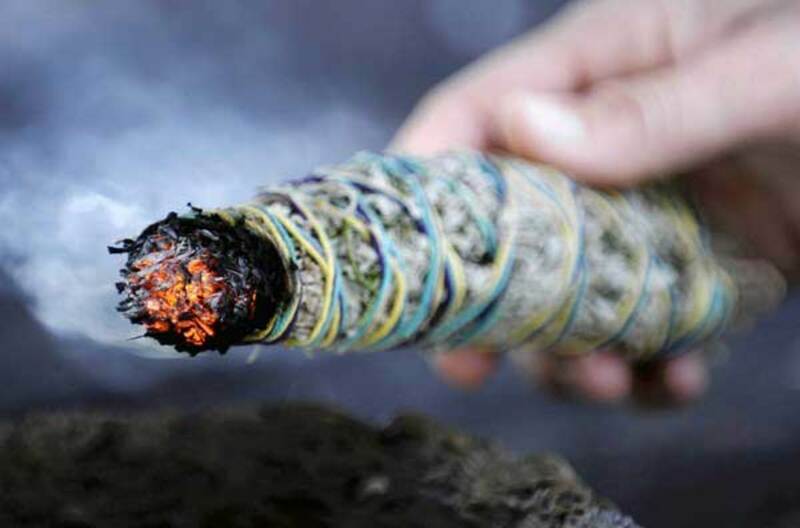 Herbs like Sage, Palo Santo, Copal, and Sweet-grass are common smudging herbs that are widely used for healing and to remove unwanted energetic and spiritual buildup and also to instill blessings. As with many spiritually based practices and methods, smudging is easy to write as silly or magical nonsense, but surprisingly there is science to support the benefits of smudging. Did they use any kind of control on this study? It’s no secret that smoke is deadly to airborne pathogens, regardless of the source. I”m a First Nations person, and I’m going to tell you from a first nations perspective. my experience with sweet grass is embedded in daily life. if your feeling sad, or hurt it would change the atmosphere and energy around you and within you, it will take the negative thought]s and calm you down, so this is vary true, scientifically. And I got to let you know something, We native people we know that were energy and our spirit is energy, and so when sweet grass is burning, that too is energy and so when its the ground growing, there too its alive . So there fore we don’t got a religion we got a way of life, so when you say the word science, its the same word to us its just called the spirit, and not in a religious Term, but a word to explain the non-local intelligence, just cause you can’t see it doesn’t mean it doesn’t exist, its the driving force behind the physical which is the consciousness “non-local-intelligence” plants are alive so are trees, So there fore there is a driving force behind the physical, which are molecules and atoms, which are energy. So don’t get religious and spirituality confused cause there two different concepts, spirituality comes from within, learning about yourself and experiencing human life, coming from energy that is also within and all around. Religion is someone else’s ideology an idea that didn’t come from you it something that was indoctrinated, believing in a cultivated belief system, so there fore its someone else s belief and not your own, it just became a part of who you are, In religions you temples, shrines, churches. Us native people mother nature was our church god is in us all about in every plant, rock, tree, theirs conciseness, energy! he is the supreme energy of all the cosmos , everything that is, was, and always will be, and energy is everything. for many years i was religious and attended an organized church. I was a true seeker and long story short. Spirit led me out from there on this adventure into a more expansive place and what you just described is how i have come to see it as well. Native Americans have always known this, we should have listened. There’s also good bacteria. I wouldn’t want to breathe in the smoke (in addition to its heavy particulates) which would kill the good bacteria necessary for life.